Jena’s dream for her nonprofit turned that initial $1 into $20, and then $100, and today into more than $25 million. Working throughout eleven countries in Africa, Blood:Water has provided healthcare for over 62,000 people in HIV-affected areas and has partnered with communities to provide clean water for more than one million people in Africa. But along the way she faced many harsh realities that have tested her faith, encountered corruption and brokenness that nearly destroyed everything she’d fought for, and learned that wishful thinking will not get you very far. Jena discovered true change comes only when you stop trying to save the world and allow yourself to love it, even when it breaks your heart. With a fresh, intelligent, and winsome voice, Jena Lee Nardella weaves an evocative, personal narrative filled with honest and hard-won lessons that demonstrate the amazing things that can happen when you fight for your dreams. My parents had experienced a thing or two in the world by the time I arrived. That might explain why security—and fear—were such a part of my early childhood. My father was the first American-born member of his Chinese immigrant family. Even though he lost his mother at age five, endured beatings from bullies in San Francisco’s Panhandle, and weathered the abuse of a stepmother who refused to feed him, Dad made something of himself as a prosecutor who put bad guys in jail. My mother survived martini-mixing socialite parents from the Midwest and became a psychiatric nurse with compassion deeper than the bottomless drinks of her father. Mom and Dad fell in love on a blind date one San Francisco Christmas Eve and married soon after. They lost their first daughter to a congenital heart defect when she was eleven months old. As their next child, I was fiercely protected—my parents set out to ensure that I would know little want, fear, or loss. When my brother arrived nearly three years later, their circle of protection enclosed him as well. We grew up with alarm systems in our home, emergency whistles on our backpacks, and lunch pails filled with food too healthy to be traded in the cafeteria. On the first day of kindergarten, my dad drove behind the school bus to make sure the driver made good use of turn signals. If my parents had occasion to fly, they took separate airplanes so that, should one plane go down, they would not orphan us as their parents metaphorically had. Restaurants were complicated for us. If the nonsmoking section smelled at all like the smoking section, we walked away. If the nonsmoking section passed the first test, Dad still wanted to sit facing the door. We had an earthquake plan, a fire plan, and a Y2K plan. “Be prepared” was our motto. And so I went to day care with a Cabbage Patch Kid in one hand and Caution in the other. I refused to risk slides on playgrounds, salt on my food, or the deep end of the swimming pool. I lived for rules, seat belts, and year-round SPF 50 sunscreen. My dad had logical reasons for all this protection: he made legal enemies through his work. My mom had research-based reasons: she knew the data; she knew about all possible threats to children. They both had intuitive reasons: the world had been a dangerous place thus far. When I was nine, our family moved to Burlingame, a small suburb in the San Francisco Peninsula. Known for its affluence and Victorian neighborhoods, Burlingame hosted a Pottery Barn, United Colors of Benetton, and one of Starbucks’s first non-Seattle shops. Our new house was tucked securely into the neighborhood cul-de-sac. Brick stairs lined with honeysuckle climbed from the street to our front door. A towering row of eucalyptus trees shaded the nearby boulevard of El Camino Real. My existence fit into a four-mile radius and was filled with all the right activities for a Bay Area third grader: piano lessons, ballet, T-ball, and Kumon, an after-school speed math program that was popular among Asian students. Burlingame, like my childhood, was beautiful, safe, and smelled like peppermint patties. At that point, it hadn’t occurred to me that my life was privileged and protected. Our family lived and looked like our neighbors. I enjoyed riding my pink Huffy bike around the block, going to sleepovers, and watching Full House on Friday nights. But on a crowded San Francisco street, my world opened out. Mom and I were walking to a bistro near Union Square. People crowded the streets—hurried men in suits, tourists in matching t-shirts with cameras around their necks, an old woman pulling a shopping bag on wheels. I treaded carefully on the gum-stained sidewalk, over grates and cigarette butts. Graffiti defaced the parking meters. Chinese characters embellished the awnings of restaurants. The air smelled like the concrete public bathroom we avoided at the farmers’ market on Saturdays. I felt small and uncertain. Then, walking up Geary Street, I saw him. He was a tall black man with sunken eyes, standing on the edge of the sidewalk. He balanced himself on the balls of his feet, calling out to passersby. Calling out to me. I looked around to see if anyone else was listening. The outside world scurried forward. My world stopped. I paused to listen to him. He sounded defeated, like something had broken him. “I’m hungry,” he repeated. His face was sad. It seemed that every person who ignored him hurt him more. I felt a pain in my body—something wasn’t right. Then Mom called from farther down the sidewalk, and I shuffled to join her. At lunch, my hamburger sat on my plate untouched. I fiddled with the paper wrapper of my straw. As a third grader, I had already learned a lot about the world. I had learned that pickles and cucumbers are the same thing and that the earth orbits the sun, not the other way around. I had learned that we have to say goodbye to friends sometimes and that Christmas presents can be disappointing. But it was inside that bistro, with a plate full of food, that I learned that there were people in the world whose lives were very different than mine. For a moment, I forgot that I was a shy, accommodating child. That hamburger didn’t belong to me, and I knew it. Mom knew it, too, when I asked for a to-go box. I whispered a request to find the man. “We can try,” she whispered back. We traced our steps from the restaurant to the parked car, my patent-leather shoes tapping along the sidewalks. He won’t be hungry anymore, I thought. He’ll know I heard him. We arrived at the block where the man had stood, but he was no longer there. The streets were less crowded, and the summer sun was creeping its way behind the cityscape. It hadn’t occurred to me that he wouldn’t be there. I had his hamburger, after all. Mom and I walked a few more blocks, circling Union Square in search of him, but we both knew he was gone. Mom’s caution was rising as the sun sank. The Styrofoam container I held suddenly felt heavy with disappointment. Not just disappointment that we couldn’t find the man, but disappointment that streets existed where grown-ups could walk by a hungry man’s pleas for help. In my child’s mind I wondered: What did they believe that made them capable of ignoring a person in need? Did they think this man deserved to be hungry? Did they feel they had permission to walk past him? As I stood silently on Geary Street with a hamburger in my hands, I knew that what happened to that man on the street was wrong. I knew that no human being deserves to be hungry or ignored or forgotten. Though I could not express it at the time, I knew that every person is worthy of dignity—no matter what. What is it about childhood perception that makes us able to see right and wrong for what they are? What is it that makes such awareness slippery in our adult minds? Since that San Francisco day, I have seen a thousand wrongs in this world: Mothers with no option but to give their children dirty water. Men abusing power. Death so common in a community that funerals are held nearly every weekend. But I see through worldly eyes. When I try to see Kenya or my Nashville neighborhood as I saw the streets of San Francisco as a child, experience gets in the way. The wrongs in this world do not hurt me the way they did once. The injustices don’t seem as shattering. But whether or not I feel the ache that I knew as a child, I want to act on those young convictions. Because if we believe that we are not better than a hungry man on the sidewalk, if we believe that the death of someone else’s child is not different than the death of our own, if we believe that sensitivity to injustice is imperative, then we should be outraged when we look at the world. Our outrage doesn’t need to lead to helplessness or, worse, cynicism. It can be the impetus that opens the world out. I never found the man whose voice called to me, whose eyes chase me down the alleyway of my memory. In more ways than I can count, I am still looking for him. 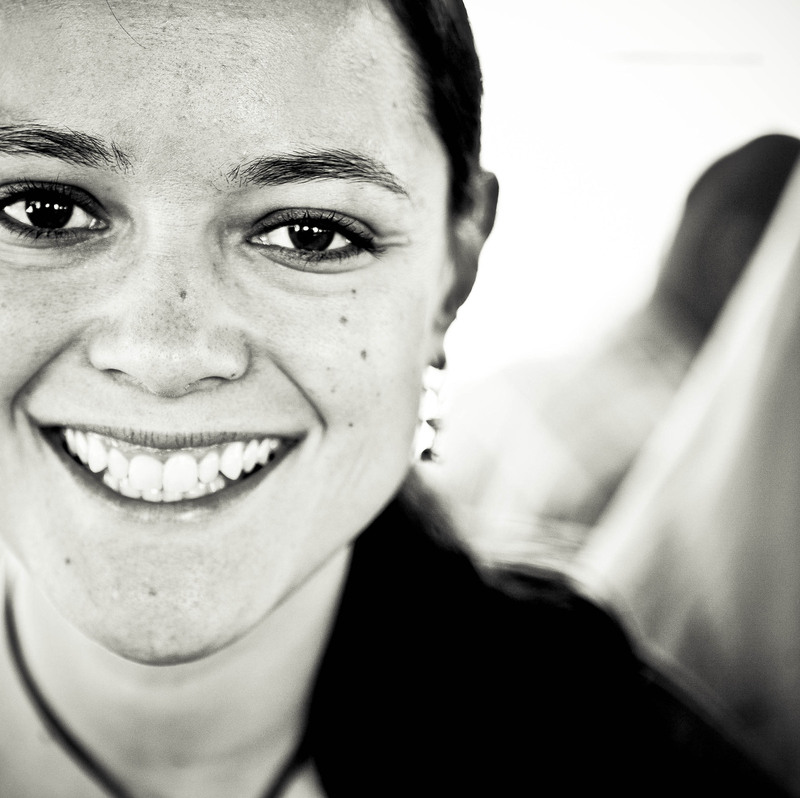 Jena Lee Nardella is the cofounder of Blood:Water, which she started ten years ago at the age of twenty-two with the band Jars of Clay. Following her vision and leadership, the organization has brought clean water access to more than one million people in Africa and provided healthcare for more than 62,000 people in HIV-affected areas. In 2012, Jena was invited by President Obama to pray for the nation in front of a TV audience of twenty million. She has been honored as an Epoch Award Winner, as GOOD Magazine's GOOD 100, and as one of Christianity Today's 33 under 33 Christian leaders shaping the next generation of faith. Jena serves on the core team for Praxis, a venture group helping entrepreneurs build high-impact organizations and served on the board for Equitas Group, a philanthropic organization focused on ending child exploitation in Haiti and Southeast Asia. Jena and her husband, James, and their son, Jude live in Nashville and East Africa. "Buckle up, you're about to meet one of love's heroes." "This is a story of idealism maturing, step by step, into lasting love—and it's a story every idealist, and every almost-cynic, must read." "Jena Lee Nardella lives her life with honesty and humility—always learning and always adventurous. 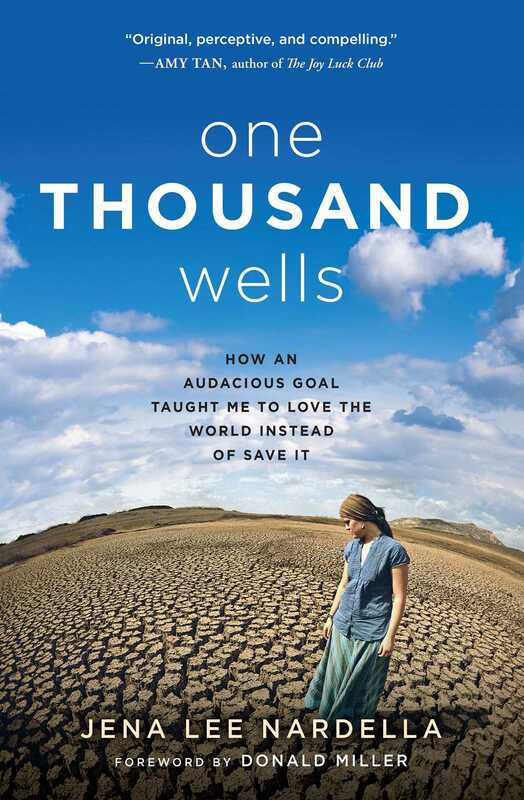 In One Thousand Wells, her indomitable spirit shows through! A delightful read that shows what can happen when you love others with your whole life, pursue passion with reckless abandon, and allow yourself to be changed along the way." "One Thousand Well is the journey of a calling, from start to finish. It's for the ones of us that always felt the call to something "big" in our bones. What's refreshing about Jena's story is that it isn't too massive for us- it gives us hope that the world can be shifted through persistence, a dedication to one's cause, and baby steps. If each of us lived with the plain love and bold obedience of Jena, there'd be a thousand more tales of loving the world-- instead of saving it-- out there. It is so evident-- the world needs more stories like this one." "This is a book of profound hope sure to inspire dreamers of all kinds. Jena Nardella's story proves that when we pursue audacious goals, we find so much more than we went looking for."